Alaska Airlines has two airline credit cards for loyal customers: the Alaska Airlines Visa Signature® card and the Alaska Airlines Platinum Plus Credit Card, both tied to the Mileage Plan™ loyalty program. If your application is approved with a credit line of $5,000 or more, you’ll get the Alaska Airlines Visa Signature® card; if your credit line is less than $5,000, you’ll get the Alaska Airlines Platinum Plus Credit Card. That’s about where the differences end. Both cards come with a free checked bag, higher miles per $1 spent on Alaska Airlines and a sign-up bonus. Alaska Airlines has grown its route network in the past 10 years, now serving nearly 1,200 daily flights in the United States, Mexico, Canada and Costa Rica. This was largely fueled by the airline’s acquisition of Virgin America in March 2017, which has given travelers even more destinations to visit — and a new reason to consider signing up for one of their branded credit cards. In this review, we’ll take a look at both cards’ offerings at once, since they are largely identical. Sweet sign-up bonus. The Alaska Airlines Visa Signature® card lets cardmembers Buy one ticket, get one for just the taxes and fees ($0 fare plus taxes and fees from just $22) after you make $1,000 or more in purchases within the first 90 days of your account opening. There are no blackout dates. The sign-up bonus for the Alaska Airlines Platinum Plus Credit Card lets cardmembers Earn 30,000 bonus miles and a $0 companion fare offer after you make $1,000 in purchases within the first 90 days of your account opening. Those miles were enough for a one-way first class Alaska flight on a U.S. trip longer than 2,101 miles, at time of writing. Check a bag for free. Cardmembers and up to six companions on the same reservation get a free checked bag on Alaska Airlines flights. Higher airline rewards. 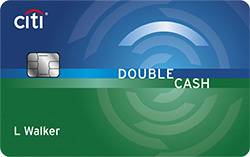 Both the Alaska Airlines Visa Signature® card and the Alaska Airlines Platinum Plus Credit Card allow cardmembers to Earn 3 miles for every $1 spent directly on Alaska Airlines purchases. Earn 1 mile for every $1 spent on all other purchases. This covers airline tickets, in-flight food and beverage purchases, cargo and vacation packages — and it’s better than what’s offered by competing airline-branded credit cards. Eat for miles. Under Alaska Airlines’ Mileage Plan Dining program, you can earn up to 5 miles per $1 spent, depending on your membership status, if you register and use the card at more than 10,000 participating restaurants, bars or clubs. You can also boost your earnings if you don’t mind receiving a few extra emails. Members who sign up for marketing emails can earn 3 miles per $1 spent and receive more bonuses and benefits, along with advance notification of events. They also receive VIP-only offers, along with advance notification and more bonuses and benefits. VIP members earn 5 miles per $1 spent if they share their email and they complete 11 qualified transactions in a calendar year. Members who don’t sign up for marketing emails earn 1 mile for every $2 spent and receive periodic bonus offers. Redeeming miles. You can redeem your Mileage Plan miles on 17 airline global partners. You can also upgrade to first class, book hotel stays at 400,000 properties worldwide, subscribe to magazines subscriptions and gift, transfer, or donate miles to a worthy cause. There’s no cap on the number of miles you can earn. Travel/purchase perks. The Alaska Airlines Visa Signature® card comes with Visa Signature® benefits including roadside dispatch, auto rental collision damage waiver, extended warranty, and travel and emergency assistance services. The Alaska Airlines Platinum Plus Credit Card comes with the same benefits, minus the Signature card’s purchase security and lost luggage reimbursement. Pick a card — not. Just because you apply for the Alaska Airlines Visa Signature® card doesn’t mean you’ll get it. You may be downgraded to the Alaska Airlines Platinum Plus Credit Card if your credit isn’t quite up to snuff. All miles aren’t equal. It’s nice that Alaska Airlines has 17 partners where cardmembers can earn miles — but the number of miles you earn depends on the airline partner you book your flight on. If you book premium cabins (including the premium economy) on American Airlines, you’ll earn 100% of the miles you fly. But if you book coach, you’ll only earn between 25% and 100% of your miles, depending on the fare class. However, Qantas gives you 100% of your miles no matter what class you book. Some airlines are better than others when it comes to earning miles, so check this website before hitting that purchase button. Companion fare costs. That “free” companion fare will actually cost you around $121, depending on the flight you choose, and you must fly with the cardmember who has paid for a flight. Despite its growing route network, Alaska Airlines doesn’t fly as many places as the Big Three — United Airlines, American Airlines, and Delta Air Lines — plus, there are limited ways to redeem the miles earned on both of the company’s branded credit cards. To that end, you may not want to compile miles on an airline that you can’t use as much. Maybe you don’t want to be tied down to one airline, or want more flexibility when redeeming your miles. 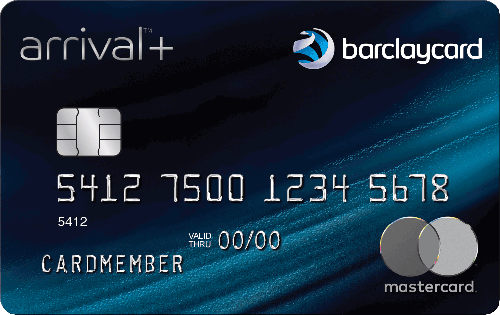 Barclaycard Arrival Plus® World Elite Mastercard®: The sign-up bonus with this card allows new cardmembers to Enjoy 70,000 bonus miles after spending $5,000 on purchases in the first 90 days — it’s enough to redeem for a $600 travel statement credit. 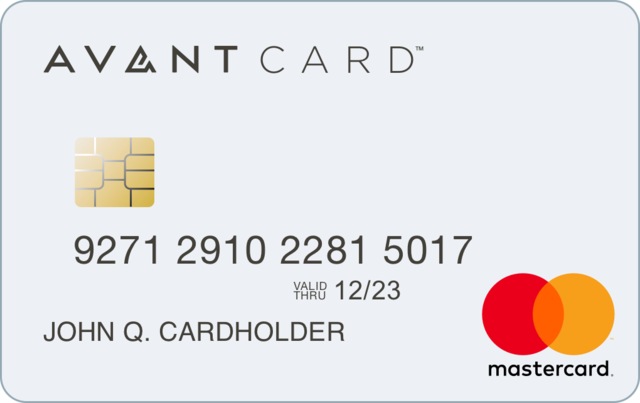 This card allows you to Earn 2X miles on all purchases. It comes with an annual fee of $89 (waived first year). You can redeem your miles for travel, cash back statement credits, gift cards and merchandise. You also get 5% of your miles back every time you redeem them. 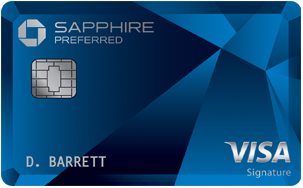 Chase Sapphire Preferred® Card: The sign-up bonus allows new cardmembers to Earn 60,000 bonus points after you spend $4,000 on purchases in the first 3 months from account opening. The bonus points equal $750 when you redeem through the Chase Ultimate Rewards® portal. Earn 2x points on travel and dining at restaurants & 1 point per dollar spent on all other purchases worldwide. The card gives you 25% more value for your points when you redeem them for airfare, hotels, car rentals and cruises through the Chase Ultimate Rewards website. There’s an annual fee of $95. 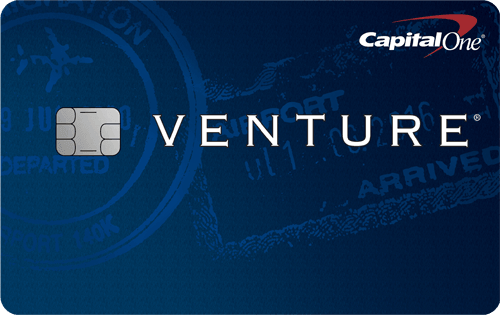 Capital One® Venture® Rewards Credit Card: The Capital One® Venture® Rewards Credit Card comes with a One-time bonus of 50,000 miles once you spend $3,000 on purchases within 3 months from account opening, equal to $500 in travel. The card earns you 2 Miles per dollar on every purchase, every day, and you also earn 10 miles per $1 spent when you use the card to book rooms at hotels.com/venture. Rewards Earn 3 miles for every $1 spent directly on Alaska Airlines purchases. Earn 1 mile for every $1 spent on all other purchases. Earn 3 miles for every $1 spent directly on Alaska Airlines purchases. Earn 1 mile for every $1 spent on all other purchases. Welcome Offer/Sign-up Bonus Buy one ticket, get one for just the taxes and fees ($0 fare plus taxes and fees from just $22) after you make $1,000 or more in purchases within the first 90 days of your account opening. Earn 30,000 bonus miles and a $0 companion fare offer after you make $1,000 in purchases within the first 90 days of your account opening. Alaska Airlines, in an attempt to get as many customers as possible for its cards, offers the Alaska Airlines Visa Signature® card for those with better credit. If you’re not eligible for it, you’re automatically considered for the Alaska Airlines Platinum Plus Credit Card, so you have options. Both cards come with higher rewards for airline-related spending — however, they don’t do as well in major categories (dining, gas and grocery, along with the broader travel category) as other competing cards. Alaska Airlines’ route network may not be as extensive as some cardmembers might want, but it does have partnerships with other airlines that can make up for that. You may want more flexibility in how you earn and spend your miles and points. You also may want to earn more in popular categories not covered by the Alaska Airlines cards. In that case, you may want to consider having non-airline, travel-branded credit cards like the ones outlined above, which offer things like bonus miles, mile redemption rebates, higher points in specific categories and better perks.